A common condition that causes patients to seek treatment from the foot doctors at our Austin, TX office is ingrown toenails. This issue can affect individuals of all ages, causes pain and discomfort, and can put diabetic individuals at risk for infection. Fortunately, it is often easily treated and there are steps that can be taken to prevent a case from developing in the first place. Tenderness and pain in a toenail, particularly along one or both edges of the affected nail. Swelling, redness, or infection in the area around the toenail. Pus or redness that appears to be spreading. If this is the case, be sure to contact Austin Foot and Ankle Specialists to make the earliest appointment possible. There are a handful of potential causes behind an ingrown toenail. 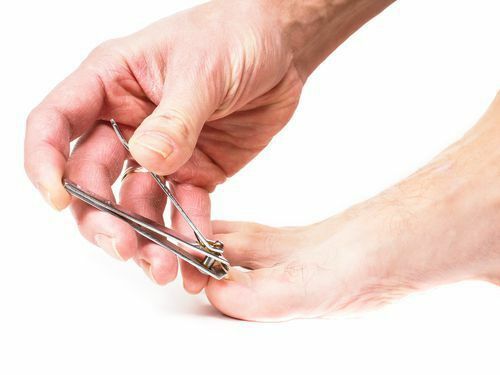 Common ones include wearing shoes that are too tight and crowd the nails, clipping toenails too short, rounding off toenails, and injury to the nail, often as the result of physical trauma. For some individuals, the root cause of the ingrown nail is simply an inherited toenail structure that is unusually curved. Soak your foot in warm water for 15-20 minutes three or four times during the day to relieve tenderness and reduce swelling. After soaking the foot, gently lift the ingrown edge of the nail and place a fresh bit of waxed dental floss underneath it. This will help prevent the nail from continuing to grow into the skin. Apply an antibiotic ointment on the sensitive area and then cover with a clean bandage. Wear sandals or open-toed shoes until the affected toe is feeling better. Contact our office for dosage recommendations and then take naproxen, acetaminophen, or ibuprofen to relieve the toe pain. When home care is not enough or you are faced with a toenail that is constantly becoming ingrown, it is time to come see us for professional care. Depending on your situation, we may need to remove either a part or all of the nail. Usually, an entire nail removal is reserved for cases that keep recurring. In this instance we will often use a procedure to prevent the nail tissue from growing back. Wear shoes that fit properly. There should be enough room in the toe box for your toes to wiggle freely and a thumb’s width of space between the longest toe and the front of the shoe. Trim your toenails properly. This means making sure that they are not too short or rounded off. A good guideline is to keep them even with the edge of the toe and clipped straight across. Protect your feet. If your job requires you to frequently move heavy items, make sure you have your feet protected with safety shoes or steel-toe work boots. When moving heavy objects at home, ask a loved one or friend to help. There are certainly instances where you will be able to take care of an ingrown toenail at home, but remember that we are also available to provide professional treatment for the condition. As previously noted, if there is pus or redness that has started to spread, do not attempt to handle it on your own. Contact our Austin, TX podiatrist office instead and have our medical specialists do it for you. You can reach Austin Foot and Ankle Specialists by calling (512) 328-8900 and our staff will be glad to provide more information and answer any questions you might have. If you prefer, you can schedule your appointment with our office online today.